As is customary for this time of year, it’s all about the wearables – and the last two weeks haven’t disappointed in that realm. 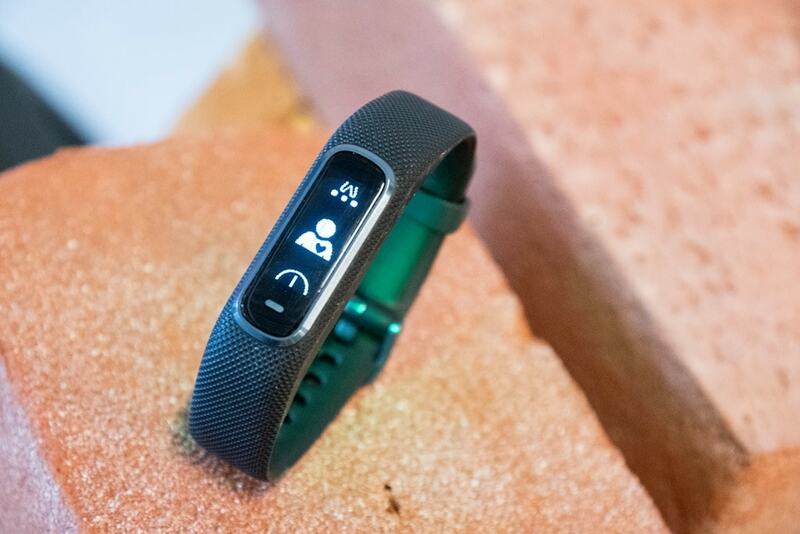 Today we add to the pile with the new Garmin Vivosmart 4, which is, as the name implies, the fourth edition of the Vivosmart series. And approximately the 86th Vivo-branded device. As with new Fitbit’s Charge 3 last week, there aren’t massive changes here from the previous generations. 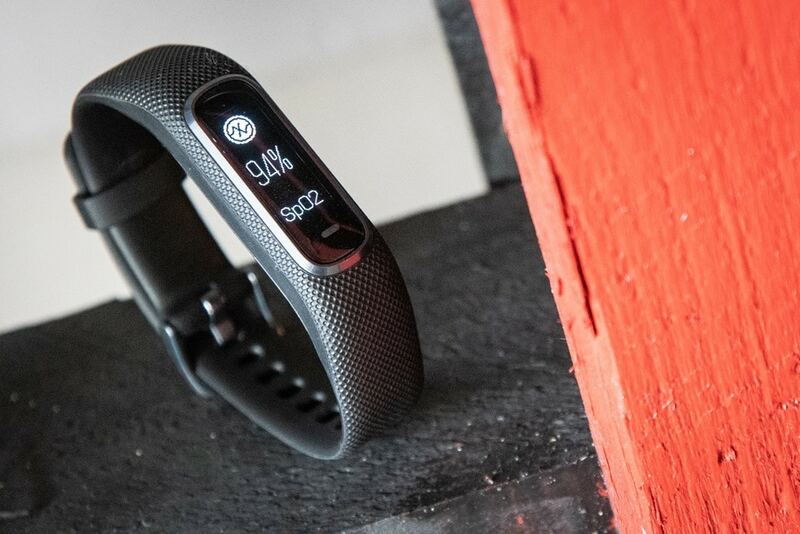 But in many ways, both companies are on a very similar track – especially when it comes to the addition of SpO2 tracking, which Garmin has added into the Vivosmart 4. Previously that was only seen on their highest end and most expensive watch, the Fenix 5X Plus which came out back in June. 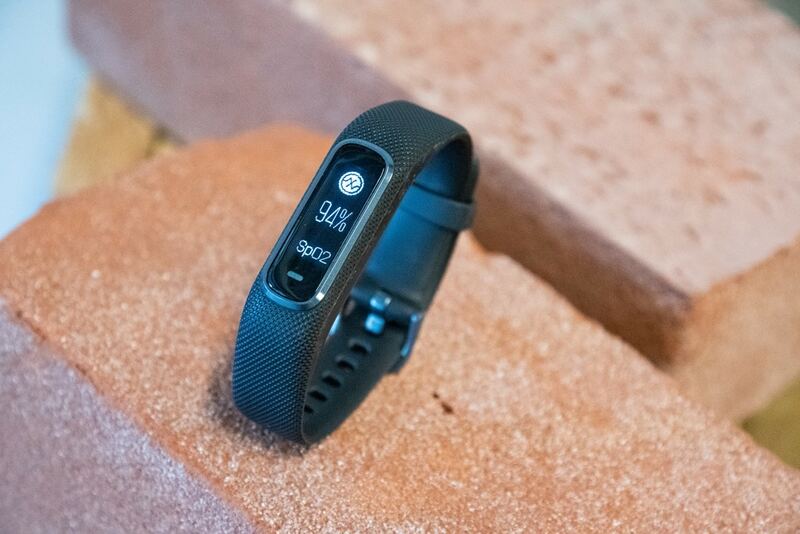 Still, that’s not the only new feature – so skip down below for the quick run-through of what’s new on this $129 wearable. Oh, and before we do that, note that this isn’t a full in-depth review. It’s a quick hands-on based on a handful (well, wrist-full) of days of use on a media loaner device. Down the road, I’ll likely do an in-depth review, mostly because some of the new features here are actually unique on this device and worth investigating deeper. Since it’s not a full in-depth review, I could find over time that things get either better or worse than my quick poke at it. Got it? Good. Let’s go. Onwards! Neither of those two new features are found on any other Garmin device (yet), no matter the cost. – And that’s it: Best I can tell. Now, some other things may appear new, that came in via later updates since last year’s Vivosmart 3 launch. 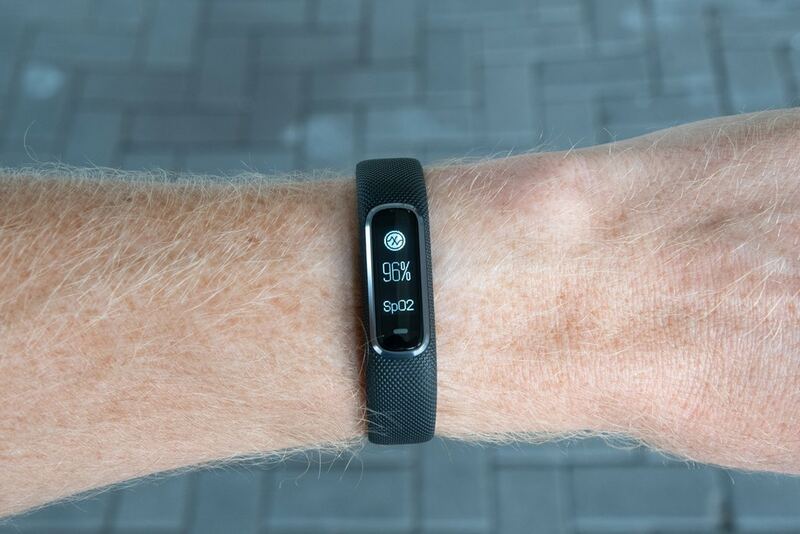 For example, the Vivosmart 3 got Abnormal Heart Rate Alerts this past summer, and the Vivosmart 4 carries those too. There’s a huge list of firmware updates since then on the firmware updates page. But this list doesn’t do a great job of capturing software-based updates on the mobile app – for example with the advanced sleep tracking that they rolled out this past spring or so. That’s covered on the Vivosmart 3 and Vivosmart 4. When it comes to the display, the new touchscreen is definitely easier to see than the Vivosmart 3, there’s no question about that. 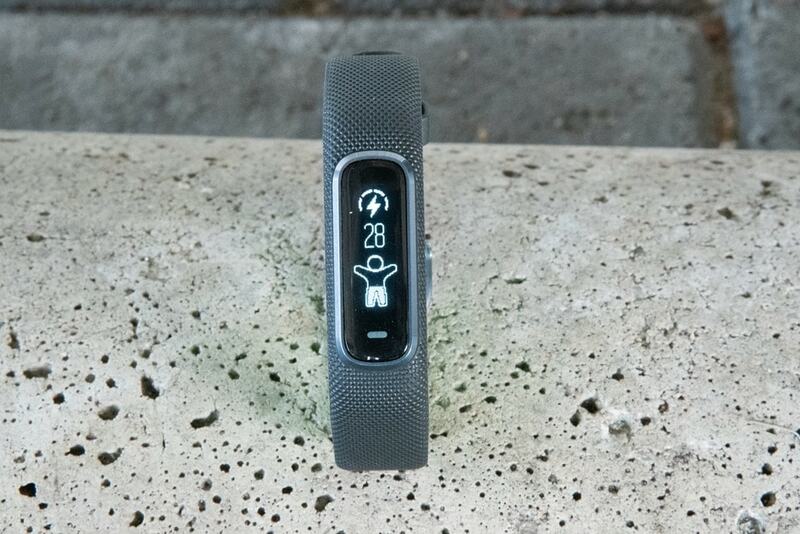 The Vivosmart 3 always felt a bit fuzzy because of the layer of silicon over the screen. It worked well enough, but it just wasn’t super crispy. This is super crispy. Of course, there’s two main new features here. First being Pulse Ox, and the second being Body Battery. I cover Pulse Ox in the next section, leaving us this moment for Body Battery. Now the question is what do I think of it? Well…I guess it’s correct in spirit. A) If my body battery was re-charged by 4AM, that’s…full of crap. B) I know this because I woke up at 6AM to screaming children, and was exhausted…and went back to sleep. 4AM would have been far worse. C) Why did my rides have virtually no effect? Was it because I did them on another device? Now, perhaps writing this post is more brain-impacting than my ride, I’m not sure. But I’m not convinced. Now don’t misunderstand me. I do think that the overall concept of a body energy type metric is exactly what’s needed. 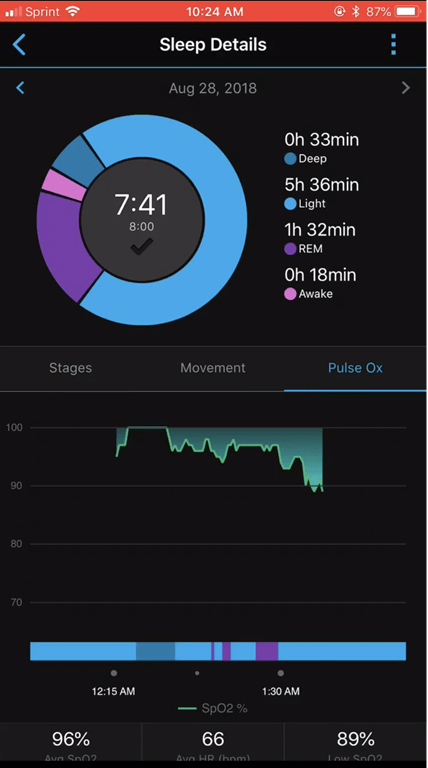 I’ve long talked about the lack of an overarching metric that takes into account things like resting heart rate trends, and sleep, and activity and gives you truly actionable instructions. As Garmin notes in the app – the number here is very explicit in what you should be doing in terms of going out for that workout or not. I’m just not sure I agree with how that number trended yesterday. Or the fact that the day before when I went and did a 45-minute strength circuit workout that it basically had no meaningful impact on my body battery number (it says 57 below because I forgot to pause it after). Again, I need a bit more time here with this feature…but my initial impression is that Garmin might need some more time with it too. And before I forgot, the Body Battery score is also shown on the watch itself like other widgets, just by swiping up/down. You can further configure it onto the main dashboard display if you want. I do want to note that Body Battery is a FirstBeat feature and also found under a different name in the Suunto 3 Fitness watch. However, the implementation is quite a bit different. First, Suunto doesn’t show you any historical information on their mobile app – so that’s a biggie. Second, Suunto’s underlying data is different because they don’t have a 1-second always-on capable optical HR sensor. Instead, the Suunto sensor samples less frequently. It might not make a huge difference, but it’s worth noting. Finally, for lack of anywhere else to stash it – here’s the stock image of all the colors. Obviously I’ve got the black one, but they’ve got a handful of other color choices. Unlike the Fitbit Charge 3, there’s no swappable bands here. With that colorful bit out of the way, let’s dive more deeply into the new Pulse Ox bits. Pulse Ox was first introduced on the Fenix 5X Plus back in June as part of the larger Fenix 5 Plus series. At the time, only the highest end Fenix 5X Plus variant got the feature, which required additional hardware sensors. Garmin said they saw that feature as somewhat unique and also a bit of a bleeding-edge type experiment of sorts. The main (marketing or engineering, depending on one’s view) thinking behind Pulse Ox on the Fenix 5X+ was really more focused on climbers and those at high altitudes. 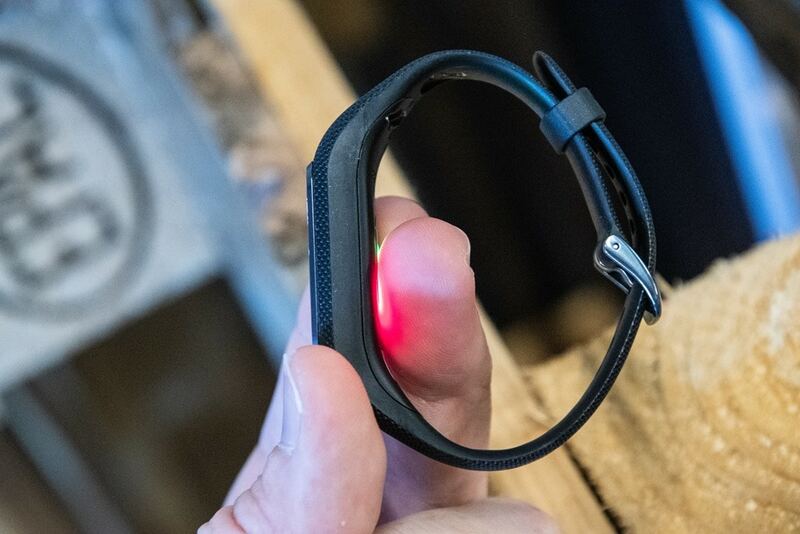 The idea being one could watch blood oxygen levels there and do a better job tracking over time than typical finger sensors would do (since that process was more cumbersome to do frequently). Garmin hasn’t yet gone through any sort of FDA certification for Pulse Ox readings, though, it’s something they’ve said they’re seriously considering (I talk about that at length in my in-depth review in the Pulse Ox section, including the entire new FDA Software as a Medical Device realm). 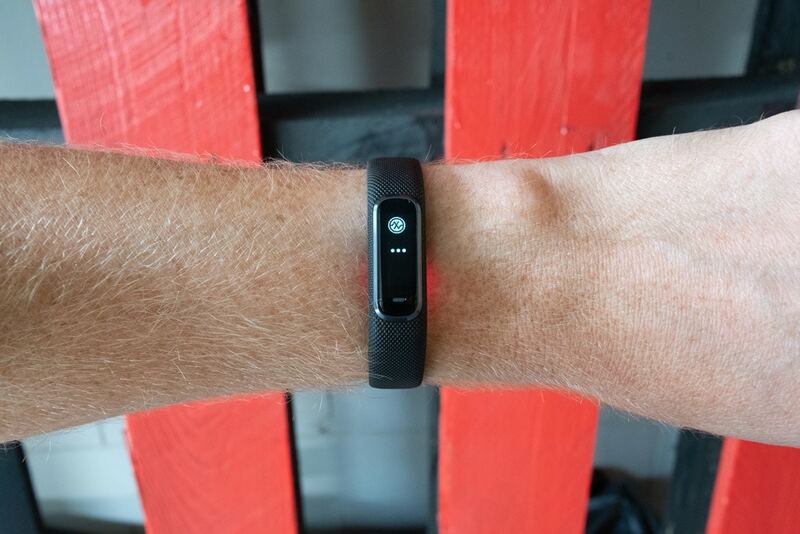 But that story shifts a bit with the Vivosmart 4. Here, the goal is more about using the data during sleep tracking than it is about high altitude adventures. This thinking is virtually perfectly aligned to all of Fitbit’s efforts. The main difference though is that Garmin is exposing far more of the actual data, rather than Fitbit’s plan to give you general trends. But that reading is kinda like a one-off. At this time it doesn’t appear to go anywhere in the mobile app as saved data for later. Fart in the wind and all that. Which, is not much data. You’ll notice it doesn’t actually measure my SpO2 values all night long. Instead, it just picks some period in the middle of the night to do its thing (this is just barely shown above in the middle screen at the very bottom by that elongated blip around the 2AM marker). It remains to be seen how exactly Fitbit does this on the Charge 3/Ionic/Versa units. That won’t happen till later this year sometime as part of their Sleep Scorecard beta program. 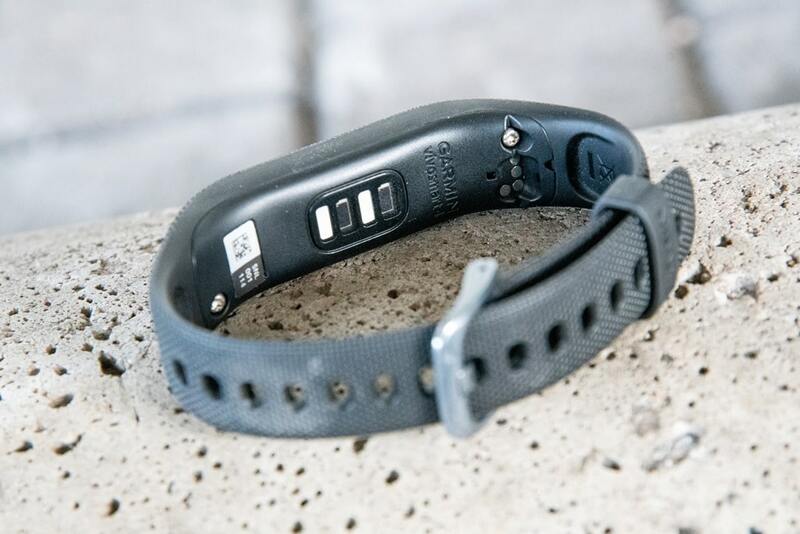 Nonetheless, initial troubles aside (keep in mind, it starts shipping today), the idea behind monitoring this though is that the data could be used to assist people in figuring out sleep-related issues. 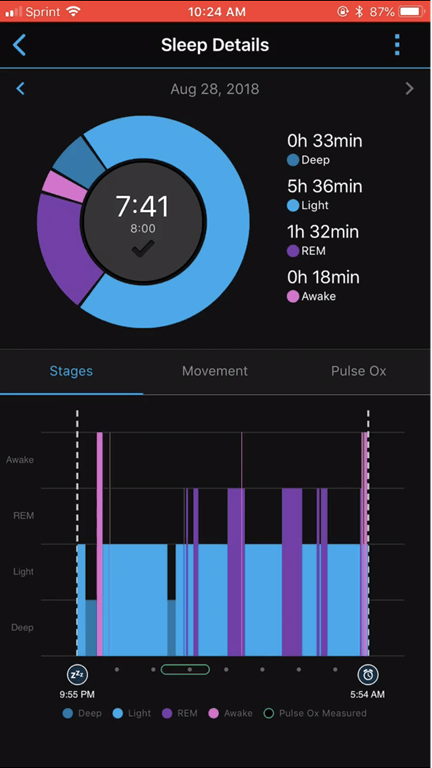 While this data point by itself may not be valid in a medical/clinical scenario, integrating multiple data points including movement and heart rate can start to paint a much more cohesive picture than most people could ever get – short of spending lots of time and money on medical-grade sleep devices. Ultimately of course, it’s clear that all of the fitness tech giants (Garmin, Apple, Fitbit, and likely Samsung) are working towards these same goals with likely the same metrics. All companies have at one point or another talked about ways to address the huge numbers of people impacted by sleep disturbances (sleep apnea, atrial fibrillation, allergies, asthma, etc…). 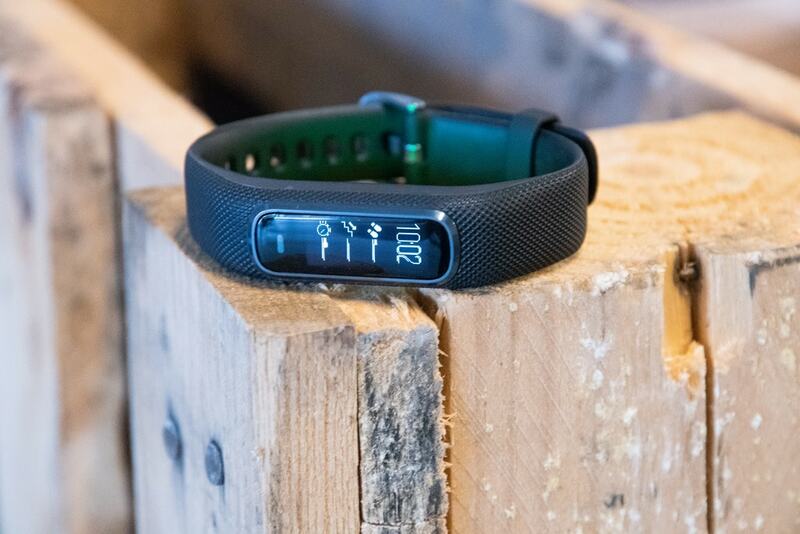 In the meantime, I’m interested in seeing what this data looks like longer term – and of course, where Garmin plans to expand it beyond the Vivosmart 4. Obviously, it takes additional new hardware. So it’s not something they can just turn a software switch on and enable on older units. But given they’ve just added the feature to their least expensive optical HR device – after adding it to their most expensive device introduced this year…it stands to reason it’s going to quickly fill in on every other unit between those two points. Overall, I like the direction Garmin is going here with both Body Battery and Pulse Ox. I’m just not convinced either is ready for prime time yet. While it’s still early days (I’ve only had a few days worth of data), the data doesn’t always trend in the ways I’d expect it to (primarily with respect to Body Battery). But the value of what Garmin (and I presume FirstBeat behind the scenes) is trying to convey is exactly what I’ve been asking for, for years. The idea to take in all these metrics (sleep, resting heart rate, heart rate variability, workouts, activity, stress), and give you a simple 0 to 100 number: That’s brilliant. At least in theory. When it comes to SpO2, obviously, that’s the new industry trend. I’m actually less concerned about inaccurate SpO2 readings at this point (it seems to be accurate when it does correctly get a reading), as just the lack of readings and logic that goes into the nighttime pieces. For example, the fact that last night it didn’t retry again when I was actually sleeping is a bit peculiar to me. As is the fact that it doesn’t seem to save one-off Pulse Ox readings I take during the day. I will say that I’d certainly hope that any further wearables Garmin develops would have Pulse Ox within them, given they established the price floor (this device, the least expensive optical HR unit they make), along with the price ceiling (the Fenix 5X+ – the most expensive watch this year). 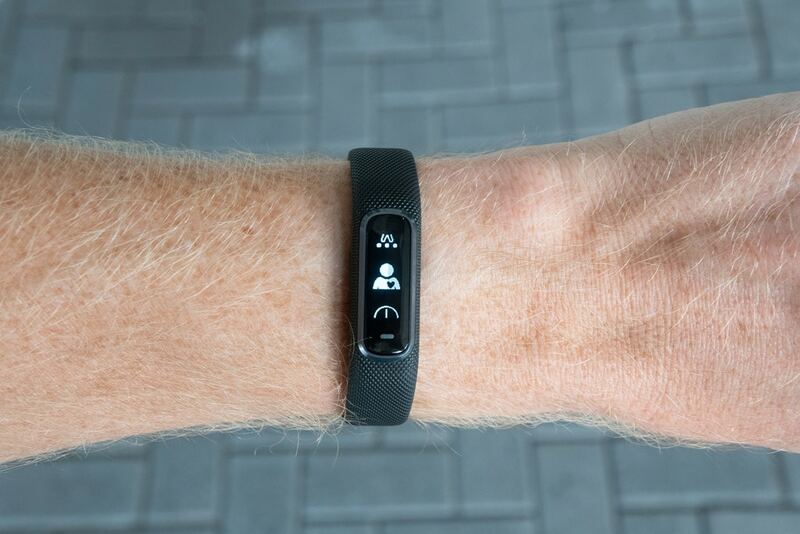 Thus, not doing it on every other future device (like Fitbit is doing) would be a solid face-palm. 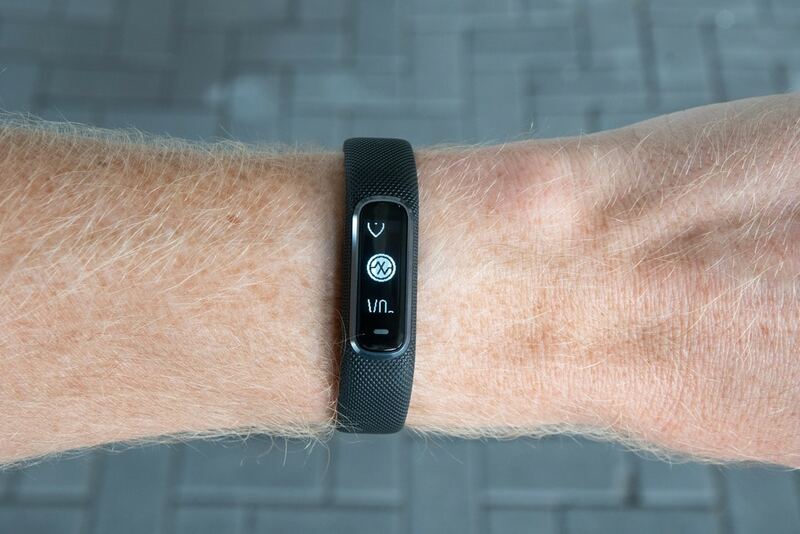 And while some may think I’m being slightly harsh, I’m told you should be able to pick up the Vivosmart 4 today at major retailers around the US. So as such, it’s kinda a device that’s ready to roll with current firmware/hardware. Said differently: It’s not beta, it’s fair game. Still, I’m looking forward to trying it out more over the next month and putting together a more complete review after they’ve perhaps addressed some bugs and more importantly that I’ve got a number of weeks of data to start looking at trending on. Perhaps there’s a learning aspect to some of the Body Battery bits, just like there is for other metrics like VO2Max and Training Status. 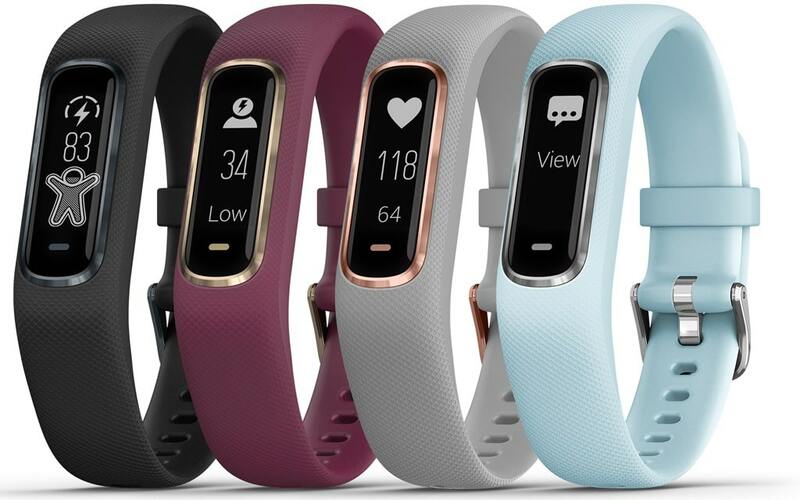 Pre-orders: You can order the Vivosmart 4 from Clever Training, which helps support the site here (and DCR/VT VIP members get 10% back in points). Plus, free shipping to boot! Bought this today (November 3, 2018) and I Cannot find Anywhere as to WHY my clock face will Not accept and correct to todays date. (time is ok). I really want accessibility to Both date and time. The "touch responsiveness a bit cumbersome" problem, in your experience do you think that is something Garmin could fix with a firmware update or a hardware problem? They've done some work on it, so it's a bit better than back in August. Any chance there's an in depth review coming soon? Christmas is coming and I've been eyeing this for awhile. Has this one now also sunk? Any thoughts on improvements to the body battery. I'd like something like it, was looking at this and Whoop. Don't trust either, though, ha. Yup, definitely a good option. The other would be waiting for a sale on a Vivoactive variant (perhaps something like the Vivoactive HR). Thought so! Would you see it as a solid TomTom runner replacement? Doesn't seem to be many (any?) alternative option at that price point. Ray, can you give a bullet point difference list between this an the vivosport? Unfortunately your product comparison tool won't let me compare them since they are in different categories. How is it's 24/7 heart rate? Also what would happen if you have multiple Garmin devices monitoring HR, will you end up with more HR data points in GC? E.g. using a 735 and the VS4 (for oximeter) at the same time for sleeping? Anyone have an opinion on how accurate the heart rate on this is? Give how narrow it is I wonder if enough light would get in to interfere ... Thoughts? I train with an Edge 1030 and am looking for a wearable to match. I want to improve the recovery time and training level estimates of the Edge by wearing something that tells the algorithm a bit more than the data it gets during the workout. Would this one be sufficient or do I need to get a Fenix 5 for that? Thanks for your advice, I just used it to buy a new trainer. As a recreational cyclist (no races), for my workouts I have a heart band and a wahoo bolt. If I were looking for other type of data, based on non-work out days (sleep, resting heart rate, etc. ), where should I look? What I mean is perfectly summarized by your conclusion: "the idea to take in all these metrics (sleep, resting heart rate, heart rate variability, workouts, activity, stress), and give you a simple 0 to 100 number: That’s brilliant. At least in theory,"
What would be your recommendation for the "practice"? Get this tracker? Wait? Get a different tracker, like an apple watch? For example, with your conclusion in mind, what do you use?